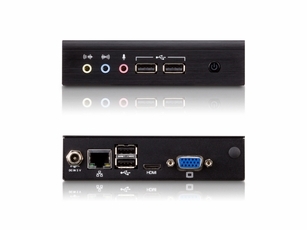 Fanless Low Profile Embedded System by ARM Pico-ITX Board with HDMI, VGA and USB 2.0, a mere 12.0cm x 12.5cm x 3.0cm (W X D X H) ! The VIA ARTiGO A800 is an ultra slim system for those seeking an optimized design for both power and performance. Taking inspiration from the Pico-ITX form factor, the VIA ARTiGO A800 offers an impressive range of features including an 800MHz Freescale ARM Cortex-A8 SoC, HD video and dual independent display support, 1GB of DDR3 system memory and a rich I/O set in a chassis that is a mere 3cm in height. 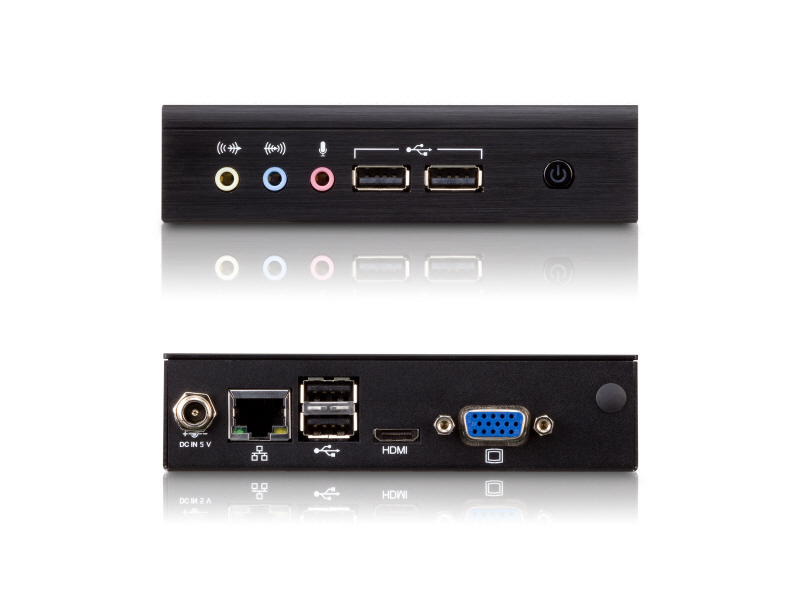 Suitable for a myriad of embedded applications, including hotel automation, media streaming, digital signage, surveilLANce as well as for medical and healthcare applications. This slim system fits easily into any environment, whether it is behind a monitor or on the wall with a 7.5 x 7.5 cm VESA mount or placed alongside other devices. Optimized for both power and performance, an 800MHz Freescale ARM Cortex-A8 SoC is paired with two integrated GPUs for dual display and 3D/2D graphics acceleration to provide full HD playback support for resolutions up to 1080p. On-board storage includes 4GB of eMMC Flash and can be expanded through one microSD card connector. The VIA ARTiGO A800 is available with board support packages (BSP) for Linux 2.6 as well as Android (2.3) OS images. Watch Dog Timer Output Integrated watch dog timer supporting two comparison points.